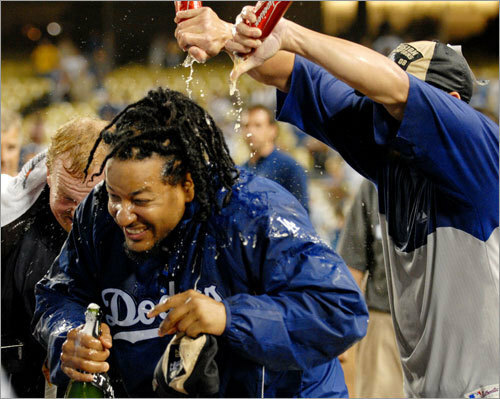 Manny Ramirez gets sprayed after Thursday's game against the Padres in Los Angeles. The Dodgers clinched the title without lifting a bat. Entering the day with a magic number of one, they got what they needed when the second-place Arizona Diamondbacks lost 12-3 at St. Louis in the afternoon.